It’s not every day that you come across profound theological truths reading the sports page. Yet, this is just what happened to me the other morning when I picked up the newspaper. Do we actually believe this though? Or want it? Is greatness our goal? Or would we rather just be average? Could it be said that we do the same with our faith lives as well? In this context, the so-called Easter-duty, a phrase you may have not heard for quite a while, comes to mind. Following the precepts of the Church, canonically speaking, all faithful Catholics are asked to do two things yearly: 1. each of the faithful is obliged to receive Holy Communion at least once a year (preferably during the Easter season) (#920); and 2. all the faithful who have reached the age of discretion are bound to faithfully confess their grave sins at least once a year (#989). 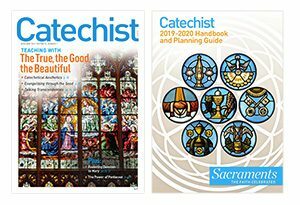 As catechists, you are already doing more than average. Being able to pass on our faith to others shows that faith is an important part of your life. But no matter where we are in our faith life we can still ask ourselves, “What value do the Eucharist and the sacrament of reconciliation have on our lives? Are they helping us become more mature followers of Jesus and more committed members of the Catholic Church?” And in turn, we can convey the value of the Eucharist and the sacrament of reconciliation to those we teach. Faith is not something to be grudgingly practiced, but actively lived and celebrated. We know the difference; we’ve seen it in ourselves, siblings, parents, friends, and teachers. 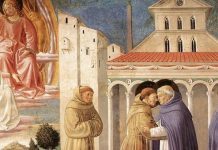 Emphasizing duty and obligation dampens interest and investment while creating possibilities for celebration brings forth energy and evangelization. Similar to our New Year’s fitness resolutions, you’re invited to make a faith goal this Easter season. Like our physical bodies, faith is like a muscle that is either strengthened or weakened depending on our usage of it. Perhaps you want to increase your prayer life and commit to ten minutes a day? Reconciliation once a month? A weekly community service activity? The point and challenge is to commit to one activity. Similar to exercise programs, it probably wouldn’t hurt to tell someone of your plans. In this way, they can help support you in your goal and hold you accountable. 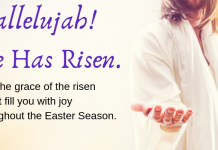 The Easter season offers the opportunity to renew and maximize our relationship with the resurrected Christ through the sacraments, especially Eucharist and reconciliation. The early followers of Jesus proclaimed the maximizing (and potentially life-threatening) faith of the risen Jesus. Most people, however, counseled them to do the minimum and remain hiding in Jerusalem’s “upper room.” Hope replaced fear though. Central to any sense of resurrection awareness for Catholics are the Eucharist and the sacrament of reconciliation. With the Eucharist, which means “thanksgiving,” we are invited to consider to what degree we are appreciative for the gift of life and faith? Does gratitude mark our interactions with others or selfishness and greed? 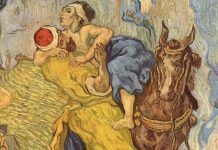 Having been fed the body and blood of Jesus the Christ, are we responding to the physical and spiritual hungers of the world? The sacrament of reconciliation presents our brokenness and the brokenness of all creation. The most striking thing about this sacramental experience is that it doesn’t lead to judgment and death, but healing, and ultimately leads us to Jesus. Death then does not end, but new life in and through the resurrection. The alienation that stains so many relationships is transformed by the unconditional love of God manifest in the paschal mystery-the life, death, and resurrection of Jesus. We have only to accept it…and live it. This is maximum discipleship. Michael Daley is a teacher at St. Xavier High School, Cincinnati, Ohio. He recently published with Bill Madges, Vatican Vatican II: Fifty Personal Stories.